The plan to regenerate the Osney Mead industrial estate has been welcomed by leaders throughout Oxford. Discussions had been taking place between Oxford City Council and Oxfordshire County Council last May and are now being led between Oxford University and landowners. It is hoped that the scheme will transform the area into a mixed development including offices, more than 600 apartments for graduates and academics and research facilities. The planning project is expected to take up to twenty years to complete and generate thousands of jobs in construction and building. The scheme could also feature a new public plaza alongside the River Thames and improved pedestrian and cycle links between Osney Island and the Oxpens development. The project will involve a new waterway designed to reduce the flooding risk and create ecosystem corridors. Mill buildings will be transformed into a community centre connected to Osney Mead through the use of a pedestrian bridge. This mill is hoped to become the heart of the development, linking old and new communities together. Oxford City Council leader Bob Price also expressed his support for the plan. Speaking to The Oxford Mail, he said: “We are very keen for the university to go ahead as quickly as possible with its plans for the area. It represents a real opportunity for it to meet both its research and teaching requirements in the future and also the needs of graduate accommodation…Our aspiration is for it to become a genuinely 21st century environment that reflects Oxford’s modern economy”. Osney is a small riverside community, located 10 minutes walking distance from Oxford City Centre. The industrial estate was developed in the 1960s and consists primarily of warehouses and industrial units. 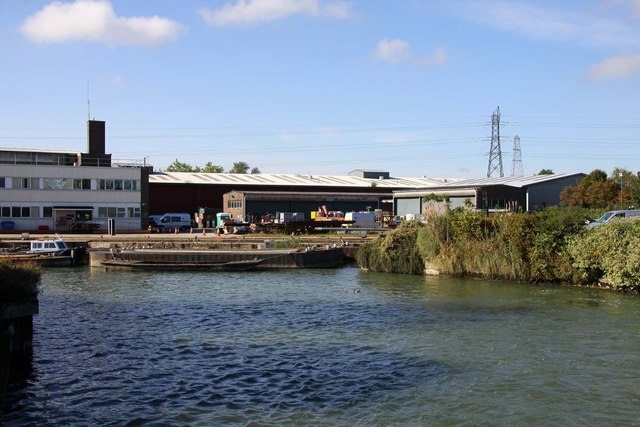 The scheme will encompass the entire Osney Mead industrial estate including the Calor site, Booker Wholesale, the Kings Centre and Newsquest Oxfordshire. If the development plan takes place, in terms of geographical size, it will be one of the largest projects within the City, including the Radcliffe Observatory Quarter and the Westgate Shopping Centre.